The shaded wooden benches that have encircled the three courtyard trees for the last three years have unfortunately received so much love that they were worn out and we had to remove them! We are looking to replace them with more durable metal ones as soon as possible, in order for parishioners to be able to make use of them again in the near future. 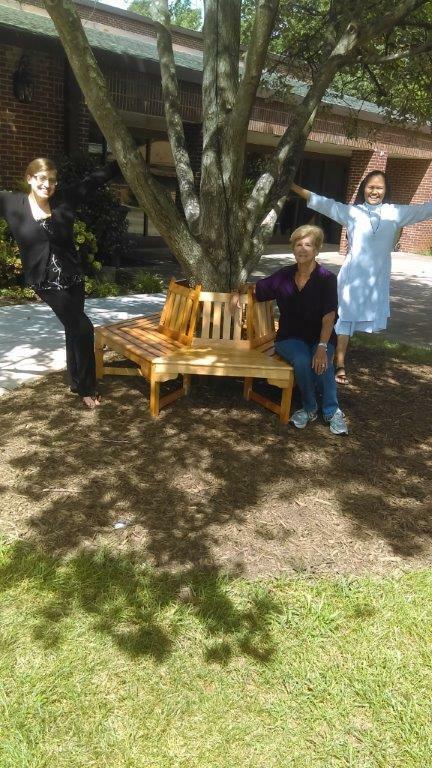 If you would like to donate toward the three circular tree benches that we will be purchasing, please either use the link below, or drop a check in the offertory basket, making sure to put 'Courtyard Benches' in the memo line. Thank you in advance for you generosity!